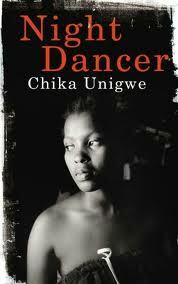 Released on June 7, Night Dancer is Chika Unigwe, author of On Black Sisters' Street, third novel. And what a beautiful novel it is. Night Dancer is set in Nigeria (Enugu to be exact) and tells the story of Mma and her stubborn mother Ezi. Ezi's unexpected death leads Mma to learn about her mother's past and rethink the resentment and contempt she has held for her mother her whole life. Mma resents her mother who likes to say things twice like 'dance-dance' and 'happy-happy' and who won't let Mma know anything about her father - Ezi left her husband, Mike, and life in Kaduna, when Mma was a baby to raise her as a single mother. Written in three parts, Chika Unigwe tells a beautiful story, which reveals what happened, why everything is the way it is and why every character in the book did what they did. It starts in 2001, after Ezi's death, and concentrates on Mma's very negative feelings and hatred towards her mother. From Mma's point of view we see what being raised by a proud single mother did to her childhood and how it affected Mma's life. When Mma starts reading Ezi's letters, or her 'memoirs', Mma finds out the truth about her mother, her past life and why she did what she did. Her mother's letters also leads Mma to be reunited with the family she never knew she had - grandfather, uncles, aunts, father. It then goes back to 1960 where we find out what exactly happened to make Ezi leave her husband Mike, and raise their daughter Mma on her own. And it comes back to 2002 when Mma eventually meets her father, Mike, and begins to change her mind about her mother. In these three parts, we hear both Ezi and Mma voices. When Night Dancer started I felt Mma's pain and sorrow and understood why she felt the way she did towards her mother, but as I read, I began to understand why Ezi was the way she was and my views towards her completely changed. You end up sympathising with, and understanding, both Ezi and Mma. Being a single mother in Nigeria is not easy, but being a single mother who isn't widowed, and who refuses to tell anyone about the child's father is even tougher. What happens when you defy tradition? What happens when you do what is right and what you strongly believe in, even if it goes against tradition? How does a modern woman cope with the battles of tradition versus her thinking, feelings, beliefs? And how do you survive in contemporary Nigeria and make a living once you have defied tradition? From start to finish I loved everything about Night Dancer, and couldn't put it down. If you loved On Black Sisters' Street you will also love this. Interesting review. I ejoyed 'On Black Sisters' Street' and the 'Night Dancer' is on my bookshelf waiting for its turn. By the way, I've just discovered your blog and I really love it! So glad you love the blog. It always brings a smile to my face knowing people enjoy it! Also glad you liked the review. If you enjoyed 'On Black Sisters' Street' as much as I did, you will definitely enjoy 'Night Dancer'.